While the protein, mineral and vitamin value of Bio-Algae Concentrates is impressive, these minute organisms are also rich in pigments that are bio-chemically important to life. Without pigments, organisms could not synthesize many of the enzymes necessary for balancing metabolism. 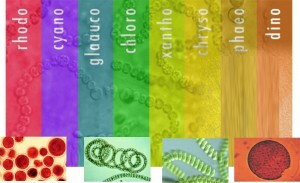 Bio-Algae Concentrates contain a high level of enzymatic pigments and mixed carotenoids. In recent years, these pigments and carotenoids have received a tremendous amount of attention as potential anti-cancer and anti-aging compounds. Carotenoids are powerful antioxidants, protecting the cells of the body from damage caused by free radicals. Carotenoids, and specifically beta-carotene and alpha-carotene, are also believed to enhance the function of the immune system. Carotenoids represent one of the most widespread groups of naturally occurring pigments. These compounds are largely responsible for the red, yellow, and orange color of fruits and vegetables, and are also found in many dark green vegetables. The most abundant carotenoids in the North American diet are beta-carotene, alpha-carotene, gamma-carotene, lycopene, lutein, beta-cryptoxanthin, zeaxanthin, and astaxanthin. True vitamin A is found in the pre-formed state only in animal sources, such as liver. This is the form of vitamin A sometimes associated with toxicity and overdose, since it is fat-soluble and is not readily excreted from the body. Some substances in plant foods are not true vitamins, but provide the precursors from which the body can then synthesize the appropriate vitamins. 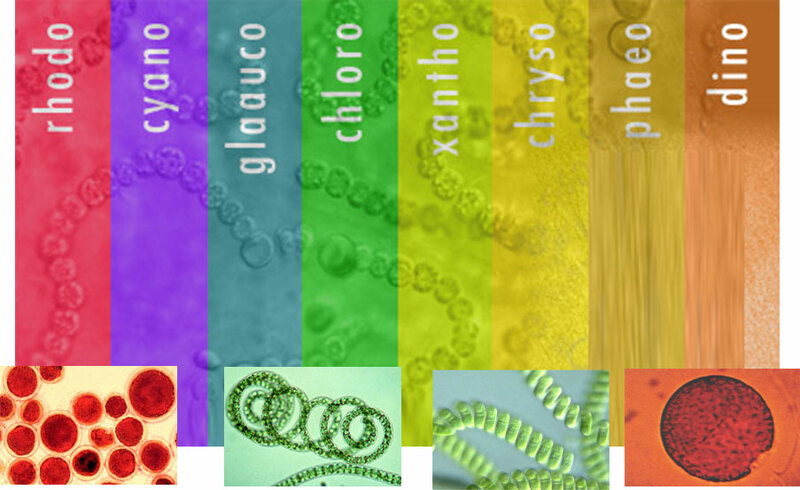 The carotenoid compounds of Bio-Algae Concentrates are of this nature, since they are used to produce vitamin A. In contrast to animal source vitamin A, the carotenoid complexes found in Bio-Algae Concentrates are converted to vitamin A only as it is needed, thus minimizing the dangers of toxicity. In nature, algae are a primary source of vitamin A precursors – it is from algae carotenoids that fish livers derive and concentrate vitamin A. Until late in the 20th Century, the functions of these carotenoids were discussed only in terms of their potential vitamin A activity. But since then it has been discovered that certain members of the carotenoid family, approximately 50 carotenoids of the known 600, are called “pro vitamin A” compounds because the body can convert them into retinol, an active form of vitamin A.
Bio-Algae Concentrates contain several of these “pro vitamin A” compounds and especially some compounds like alpha-carotene known as “pro-pro vitamin A” for their capacity to not only traverse the cell membrane but to span across the cell membrane. These and several lesser pigments such as phycoerythrin, tetrapyrrole, phytonadione and the carotenoids are not just the “color” of living organisms, but are used to carry on metabolic processes throughout the body. Without them, enzymatic reactions would be reduced until cellular disintegration occurred. To illustrate my point I will discuss a few of these lesser pigments in the next pages.